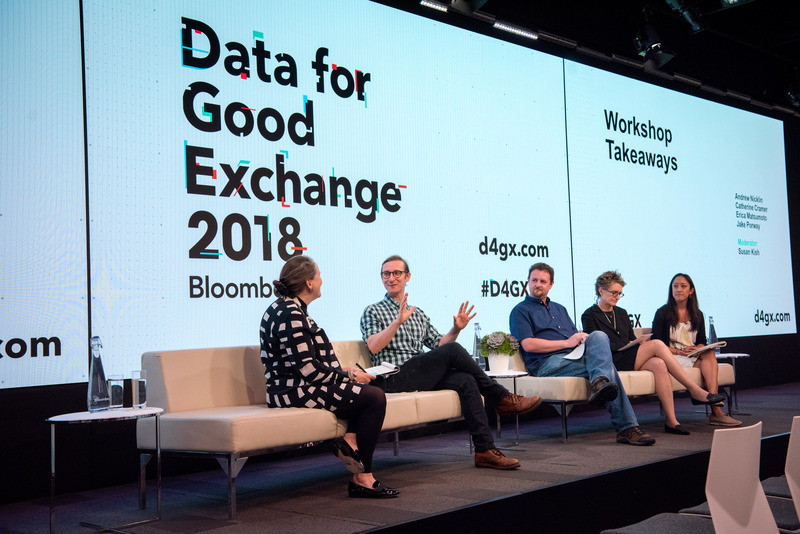 To understand the energy at this year’s Data for Good Exchange (D4GX) conference, held at Bloomberg’s Global Headquarters in New York on Sunday, September 16, consider this: Every single workshop was packed to capacity – and then some. 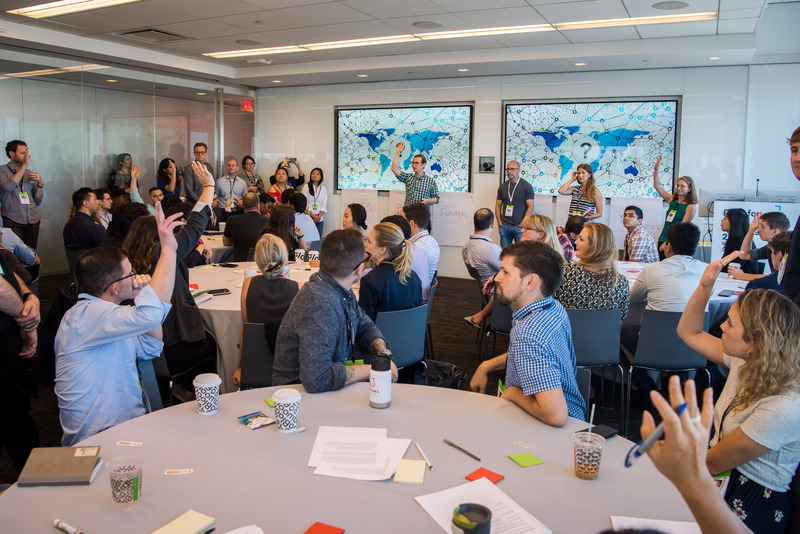 This year’s D4GX was the first in five years to incorporate the workshop format in the program. 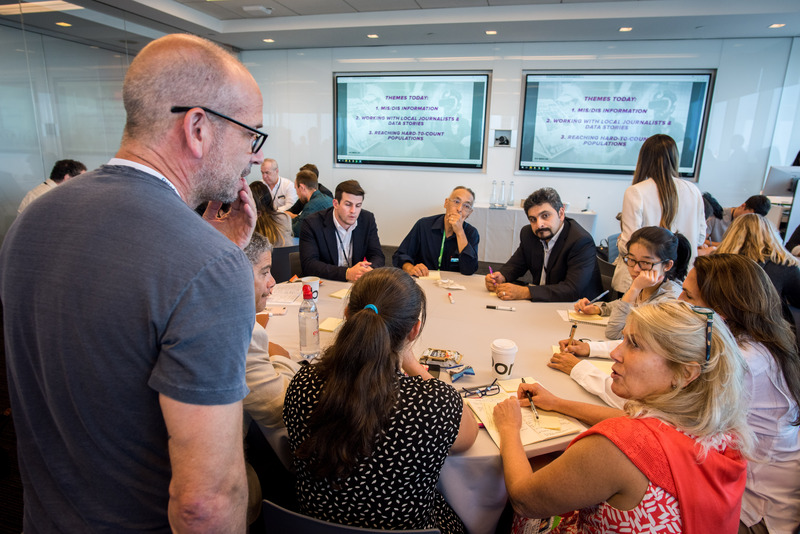 Attendees’ desire to put their skills to use to dig into real problems was palpable. 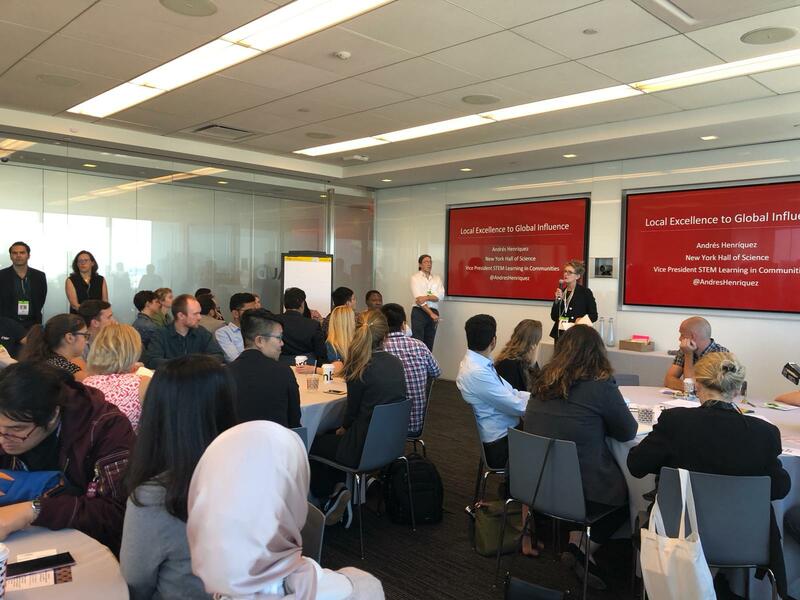 One workshop, “Addressing Community Challenges with Data-Driven Solutions,” brought together data scientists with leaders at Elmcor Youth & Adult Activities, Inc., one of the largest social services agencies serving the neighborhood of Corona, Queens. “We’re really seeking to narrow this data divide, which is easy to say and hard to do,” said Cramer. The goal of the workshop was to help Elmcor see how it could better use data to communicate its effectiveness – especially in the prevention of opioid abuse – to stakeholders, including program participants and current and prospective funders, as well as to design future projects and to develop a data-driven approach to their work overall. By the end of the session, about a dozen participants said they wanted to continue volunteering to work with Elmcor. 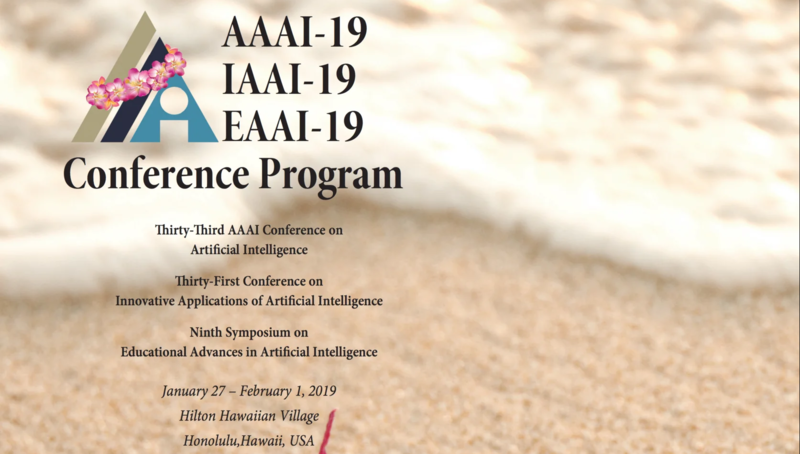 Andrew Nicklin, director of data practices at the Center for Government Excellence (GovEx) at Johns Hopkins University, led a workshop titled “An Ethics and Algorithm Toolkit for Government (and anyone else! 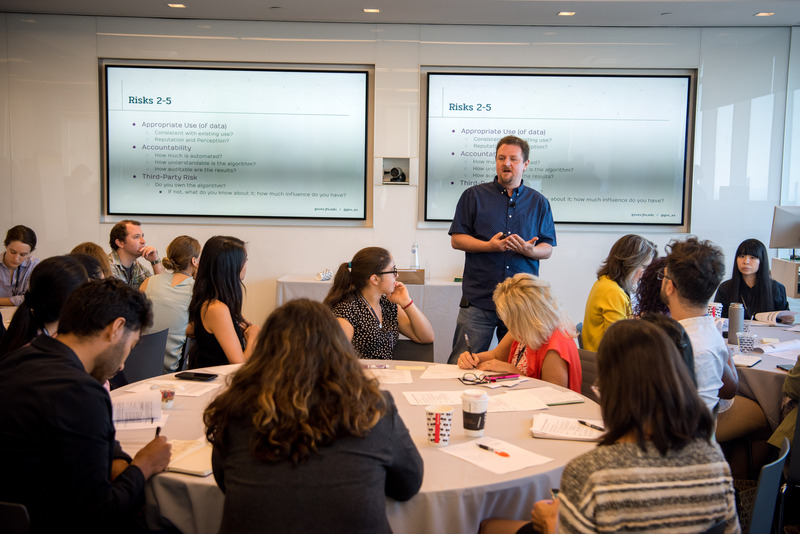 ).” In it, he walked participants through a toolkit designed to ferret out the risk of bias in an algorithm. The toolkit, currently in beta, walks users through issues such as impact, historical bias, and technical bias. It then suggests strategies to manage and mitigate risk once it is better understood. Trust – in data, people, and algorithms –played a role in all four of the workshops, but especially in “2020 Census Toolkit.” This workshop was designed to foster collaboration to help U.S. residents better understand the aims and importance of the U.S. Census, and most importantly, to encourage them to fill out the survey completely. “We came up with new approaches to awareness and education campaigns,” said Erica Matsumoto, head of partnerships for NYC Media Lab, whose team led the workshop together with members of the U.S. Census Bureau’s Census Open Innovation Labs and Mark Hansen, a professor at Columbia Journalism School, where he also serves as the director of the David and Helen Gurley Brown Institute for Media Innovation. 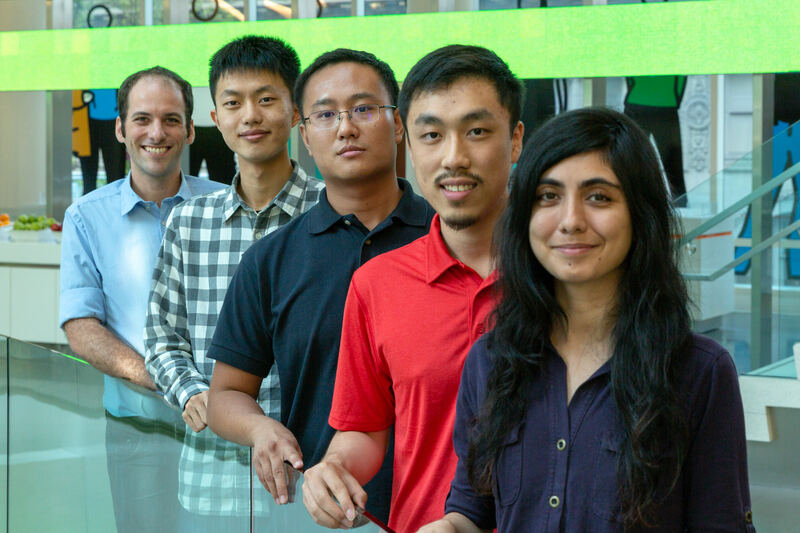 Some of the ideas generated included encouraging student groups to look for bias in the accuracy of the census; encouraging competition between states for higher completion rates; leveraging influencers; and, of course, gamifying the whole thing. The other challenges in building a data ecosystem for 2025 that were discussed during the workshop were just as daunting. How can we move beyond one-off pilot projects, or “pilotitis”? 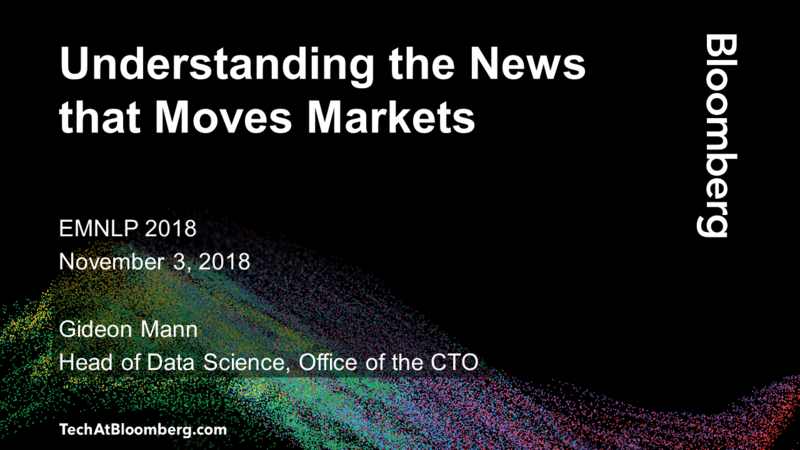 How can we further democratize data? 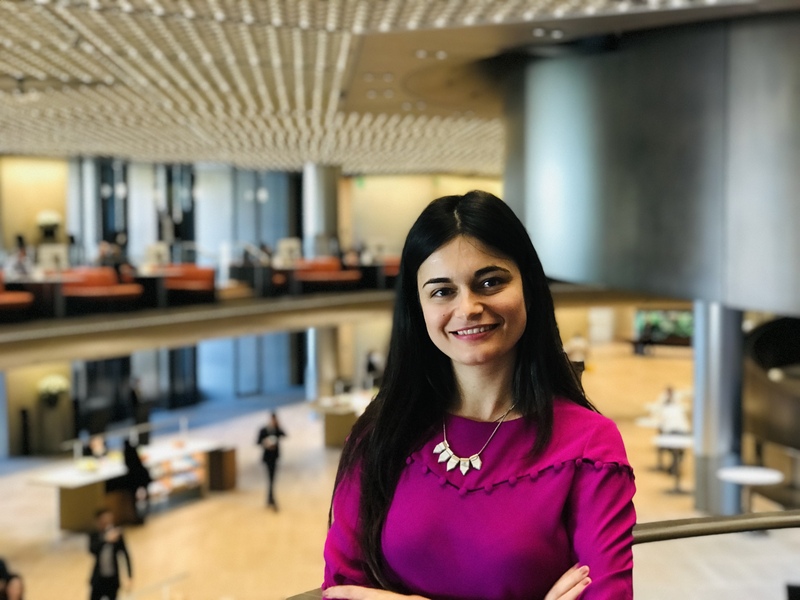 How do you create data-driven solutions, when coming up with anything novel requires expertise in so many different areas? How do we create a Data for Good community that is as diverse as the constituents it aims to represent? And what big investments do we need to make now to make sure this capacity is available to all who need it?